Barrique Wine Store was established by Sean & Claire O’Brien in 2004 with the aim of bringing the world of wine to one of Australia’s premium wine growing regions, the Yarra Valley. WE TAKE PRIDE IN BEING A TRULY INDEPENDENT FINE WINE RETAILER IN THE VILLAGE OF HEALESVILLE, RIGHT IN THE HEART OF THE YARRA VALLEY AND ONLY A ONE HOUR DRIVE FROM THE MELBOURNE CBD. FIVE YEARS OF BUSINESS IN OUR ORIGINAL, SMALLER PREMISES WAS ENCOURAGEMENT ENOUGH TO MOVE TO A LARGER SITE IN 2009, WHERE THE RANGE COULD BE EXPANDED AND FURTHER SERVICES AND EVENTS COULD BE EASILY MANAGED. NOW, MORE THAN TEN YEARS SINCE WE STARTED, OUR RESOLVE TO EXPAND OUR ECLECTIC MIX OF STOCK IS AS STRONG AS EVER, NOT ONLY IN WINE BUT ALSO IN BEER AND THE EMERGING ‘CRAFT SPIRIT’ MARKET. WE LOOK FORWARD TO HAVING YOU ALONG FOR THE RIDE! Our location might suggest that our wine offering is limited to the Yarra Valley, but that is not the case. FROM ESTABLISHMENT, WE HAVE DELIBERATELY SELECTED WHAT WE BELIEVE TO BE A QUALITY CROSS SECTION OF VARIETIES AND STYLES FROM YARRA VALLEY PRODUCERS, AND HAVE COMPLEMENTED THAT WITH AN ECLECTIC MIX OF WINE FROM THE REST OF AUSTRALIA, NEW ZEALAND, EUROPE AND TO A LESSER EXTENT THE AMERICAS AND SOUTH AFRICA. WE CHAMPION THE EFFORTS OF SMALLER GROWERS AND MAKERS, AND PROVIDE AS MUCH OPPORTUNITY AS POSSIBLE TO ENSURE THAT THEIR WINES GET THE EXPOSURE THAT THEY DESERVE. OUR LIST IS EVERCHANGING AS WE BELIEVE THERE ARE MANY GOOD EXAMPLES OF INTERESTING WINES AVAILABLE IN AUSTRALIA AND AROUND THE WINE WORLD. Maintaining a ‘fixed’ range would soon become boring and predictable, and that is not what we are about. THANKFULLY WE CAN CALL IT HOME TOO! There are always exceptions to the rule, but generally speaking, the cooler climates of the Upper Yarra are proving to be more suitable for the cultivation of chardonnay and pinot noir, and conversely, the Valley Floor is proving to be a reliable source of quality shiraz and cabernet sauvignon in particular. The Valley Floor takes in the areas surrounding the townships of Healesville, Coldstream, Yarra Glen, Steels Creek and Dixons Creek and has the Maroondah and Melba Highways as its main arterials. 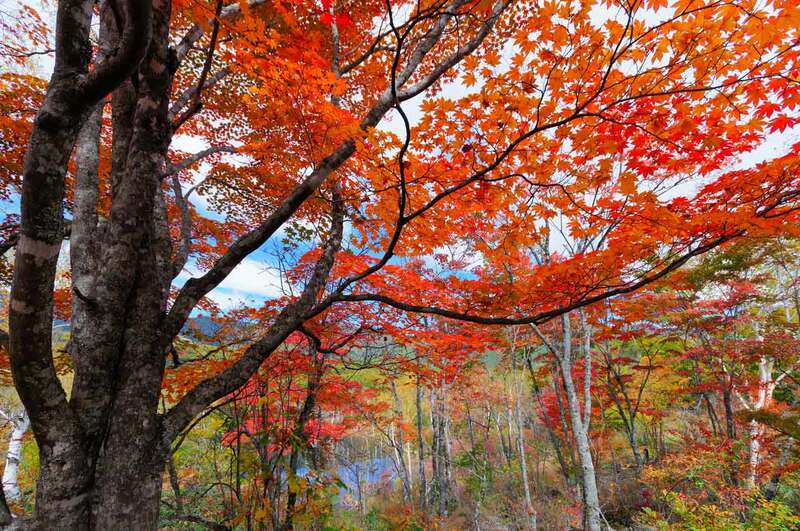 Gently undulating, it sits at an average altitude of about 140m above sea level. The ‘Upper Yarra’ has the Warburton Highway running it’s entire course and includes the smaller postcodes of Woori Yallock, Seville, Wandin, Yellingbo, Hoddles Creek, Launching Place, Yarra Junction, Wesburn, Warburton and Gembrook. Some parts of the Upper Yarra are in excess of 400m above sea level and the effect of such altitude is significant across the whole area – it is markedly cooler and wetter throughout the year than the neighbouring ‘Valley Floor’. 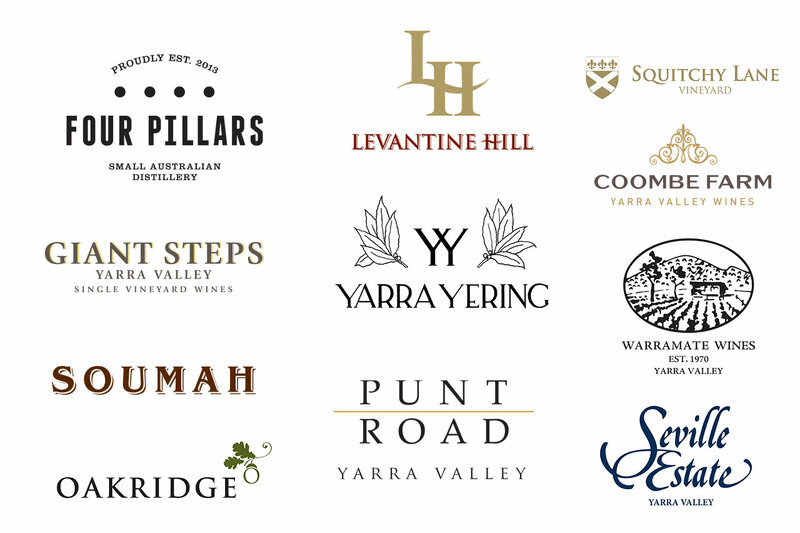 From historically important pioneers such as Mount Mary, Yeringberg, Wantirna Estate, Yarra Yering and Seville Estate, to established stars like Oakridge, DeBortoli, Giant Steps, Coldstream Hills, Tarrawarra Estate, Chandon, Hoddles Creek Estate and Yering Station. More recently the groundswell includes winemaker labels such as Luke Lambert, William Downie, Jamsheed (Gary Mills) and Timo Mayer, and it is an everchanging landscape with each component urging each other forward in the pursuit of regional development. Throw in beer, cider, craft spirit and artisan food producers and there’s something here for everyone. If you are concerned that you haven’t found it yet, you will tomorrow. 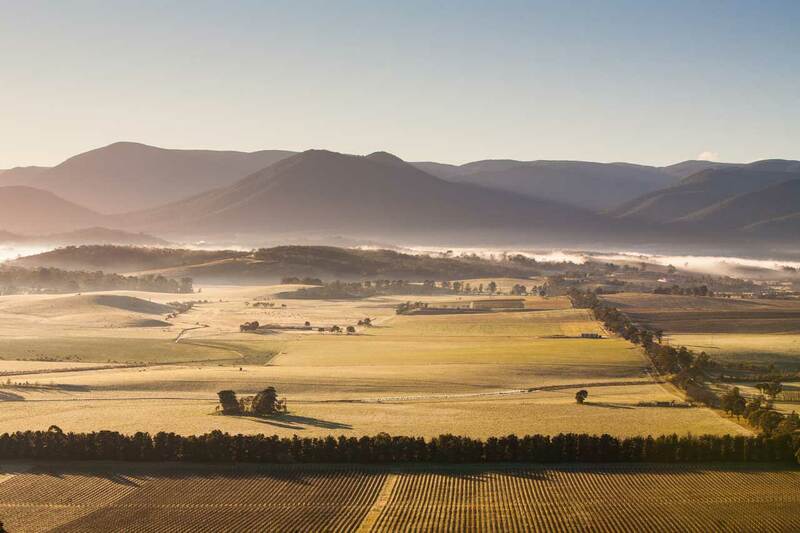 Beyond the multidude of Cellar Doors, the Yarra Valley has plenty to offer visitors. The acclaimed Healesville Sanctuary, beautiful National Parks, a vibrant art scene highlighted by the Museum of Art at Tarrawarra Estate, classy restaurants, craft breweries, artisanal cheese and preserve makers, hundreds of hectares of fruit orchards and berry farms, championship golf courses, thoroughbred horse racing at Yarra Glen and Healesville and of course, the beautiful landscape surrounding the meandering Yarra River.